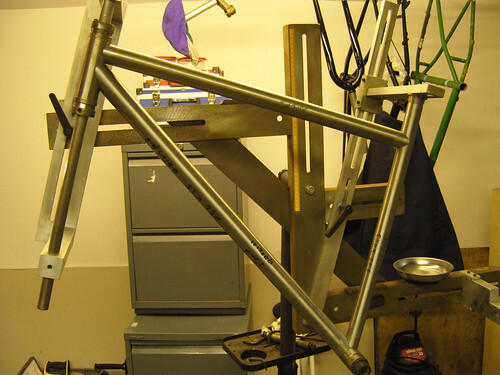 Here’s a pic of Toms 29er Singlespeed in the jig. Front triangle only. This is going to have some nice swoopy s-bend stays and Paragon sliding dropouts.